Ensuring a more diverse media landscape is key, and Western media are invited to invest in Moldova, writes Pavel Filip, the prime minister of Moldova. Since January 2016, the Republic of Moldova made important steps towards democratic consolidation and economic stabilisation. However, much more remains to be done if we are to meet all EU standards and show that we can become a viable candidate for accession at the right moment in time, right for both my country and the EU. In this context, ensuring a more diverse media landscape is key. As the 2017 Association Implementation Report published recently by the European Commission highlights, 2016 was a year of new beginnings for our country. Moldova left behind the political and financial crisis and economic stagnation of 2015 and decided to embark on an ambitious reform path. The EU Roadmap signed in March was adopted and implemented almost in its entirety and a stand-by agreement with the IMF was signed in November. On the economic front, the macroeconomic results confirmed the government’s strategy: the economic growth rate was around 3% in 2016 and, for 2017, the forecast is 4.1%. Moldova’s positive economic outlook was also acknowledged by the international rating agencies, which consider us a stable and reliable business environment. As a governmental mantra, we proved right: we named 2016 the year of stability. Our ambition for 2017 is for it to be a growth and investment year, and investors have indeed started being really interested in Moldova. We need such investment in the media sphere as well. If the economy is back on track, trust in the main democratic institutions and political leaders remains to be improved. After years of political bickering, Moldovans are sceptical about most of the things proposed by their representatives. Our institutions must foster more participation and more public trust. This is why, for example, a debate about a new electoral system has started in parliament; the main proposal is to move from a party list-based suffrage to uninominal vote. We are undertaking in parallel major public administration reforms, and pensions reforms, as well as taking serious action in the healthcare system and other areas. At the same time, along with my colleagues from the parliamentary majority, I am fully aware that democratic consolidation requires an active and diversified media. Every democracy handbook describes the pivotal role play by the free press. As was observed by our Western partners, the voice of the local media is not strong enough – the lack of resources negatively impacts on the ability of the journalists to better inform the population and to speak truth to power. The media landscape is polarised; there are steps that the government can take, and we will take them relying both on our expertise and the one of our development partners, but there are also things that can only be solved by foreign investment and economic competition. The obvious question is what is to be done for the press to really become the fourth estate and one of the drivers of Moldova’s democratic consolidation. What the government and the parliament can do is to play a regulatory role and to ensure a level playing field. 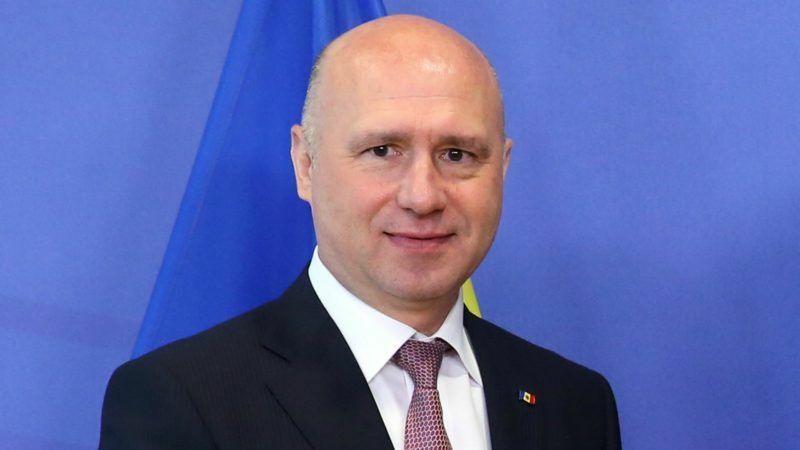 A new Audiovisual Code will be elaborated, after Speaker Candu’s initiative [Adrian Candu is the Speaker of the Parliament of the Republic of Moldova], taking into consideration both Council of Europe expertise and new EU Directives currently under debate in the European Parliament. But, more than anything in today’s world, media is a business guided not only by the public interest, but also by profit. In the end, the capacity of a newspaper or of a TV channel to properly inform its readers or viewers depends fundamentally on the financial soundness of the media institution. Although the times are complicated for the media business all over the world, and many governments have opted to intervene with tax breaks for journalists and subsidies, the right balance must be reached between government involvement, market competition and editorial independence. Again, the brand and resilience of the media company are key. As prime minister of Moldova, I cannot but hope for a more diverse and solid media landscape, one that would reflect the heterogeneity of opinions that exist in our society. As our domestic resources are limited, my belief is that a stronger involvement of Western media and advertising companies would decisively improve the quality of our democracy. The Romanian case is a good example of how powerful European publishers helped consolidate the local media market in the context of the EU accession, and the Ukrainian case demonstrated that the local product is vital for national security. My plea is thus for the important European and US media groups, as well as other global players, to consider investing in Moldova and help transform the face of our democracy. The government is committed to work together with global media organisations to ensure that the investment will pay-off for both sides: the economy is growing, bank on a developing transition society, this is where opportunity historically lies. So, why not invest in Moldova’s media market? My pledge is that you would be welcomed and respected. During the next few months, I will use my international visits to also meet media organisations worldwide and talk to them about Moldova, in the meantime our diplomats will start this process as sherpas. My government is committed to reform and a EU-oriented Moldova and we invite you to be part of our future success story.